Remember the days when Snapchat’s My Story- a collection of vertical photos and images from the last 24 hours – used to actually be a unique feature? 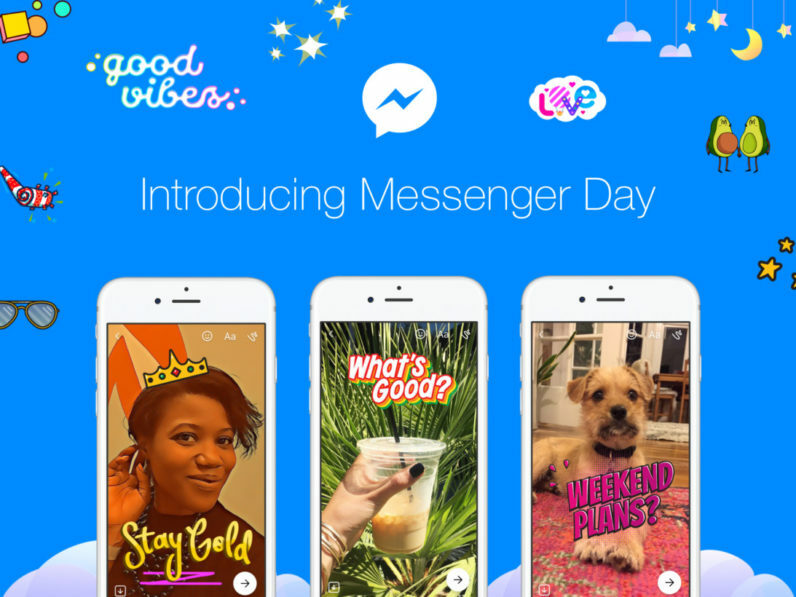 Facebook has begun rolling out Messenger Day, yet another Stories clone, to all its users. The feature had been tested in Poland since September, and joins Instagram Stories and WhatsApp Status among Facebook’s 24-hour recap formats copied (and arguably improved upon) from Snapchat. Messenger Day does just about everything you expect, building upon the also Snapchat-esque (notice a trend here?) Messenger Camera that was introduced back in December. That means you can add frames, stickers, emoji, text, filters, masks and doodles to the contents of your stories. To create a ‘Day,’ you can use the standard camera feature and simply select “My Day” under the “Add to” section. You can also pick an existing image from your gallery from within the camera, or tap “add to your day,” under images you’ve already shared in a conversation. There are some things Messenger does better than Snapchat. While the latter gives you the option to share Stories with either everyone or just your friends, Messenger Day lets you whitelist or blacklist specific people. Given Snapchat became popular in part for appearing to be more “private” than Facebook, it’s a little ironic that Messenger gives you more privacy control. The feature is beginning to roll out globally to all users today. Just remember, Facebook isn’t done yet; we know Stories is coming to the biggest network of them all, the Facebook app itself, sometime in the near future. Your move, Snapchat.